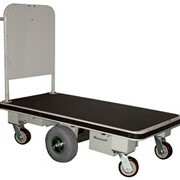 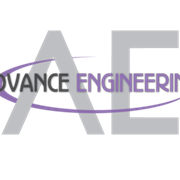 Richmond’s 4 wheel Aluminum Platform Trolleys are not only highly maneuverable, they are lightweight and strong. 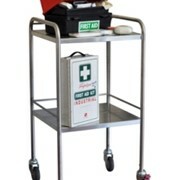 The design comes in 3 different platform sizes and comes available with 1 or 2 (removable handles). 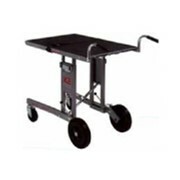 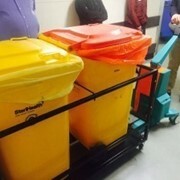 Fitted with 150mm diameter castors as standard (2 Swivel and 2 rigid) the trolleys are also available with 4 swivels and they can be fitted with swivel lock and brakes. 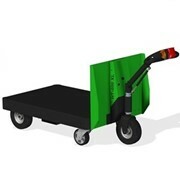 This attractive design will never rust and is very easy to keep clean. 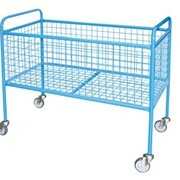 This trolley is perfect for the pharmaceutical and hospitality industries as well as industrial packing lines, including wet and refrigerated areas. 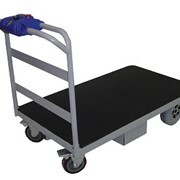 High visibility protective rubber edges, not only increase safety but also protect walls and workbenches from impact damage. 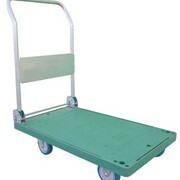 Richmond can offer a wide range of castors to suit your ground surface, environment and load capacity requirements.